The Nokia Lumia 930 was surprising in that while we were thinking it would be a close relative of the Verizon exclusive Lumia Icon, we did not expect it would be an exact copy for the global market. 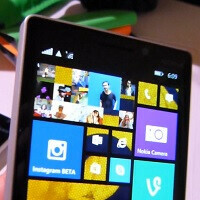 Not that we are complaining mind you, the Lumia Icon is a nice looking device. However, its design language is a bit of a departure from the Lumias Nokia has made available outside the United States.